Happy Weekend! 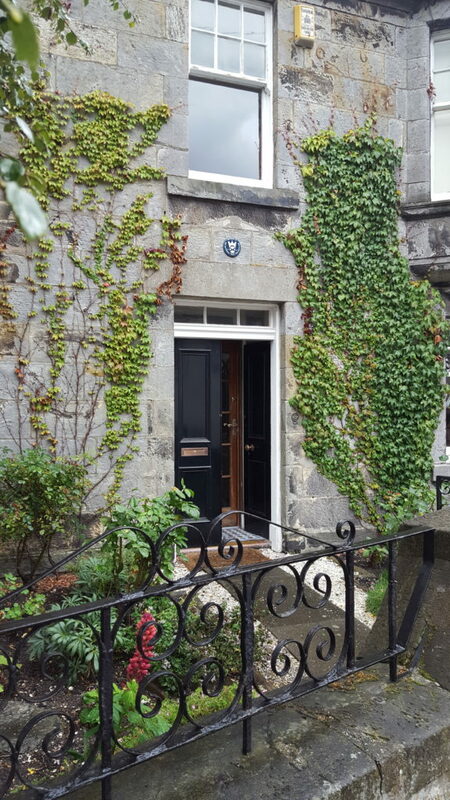 I am still home sick and I thought I would take advantage of my time indoors to finally sort through my photos and put together an Edinburgh photo diary from the last leg of my trip to Europe last year. In cased you missed it you can view my other posts from the trip here and here. 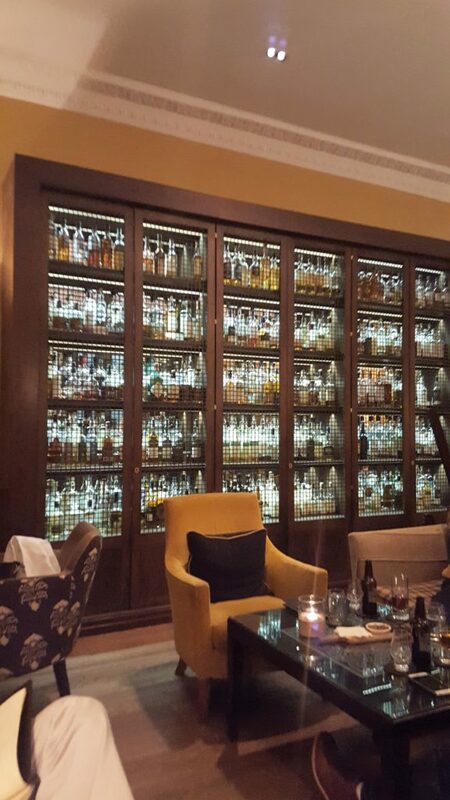 This was only my second trip to Edinburgh and we decided to stay at The Balmoral Hotel again because we loved it so much the first time! 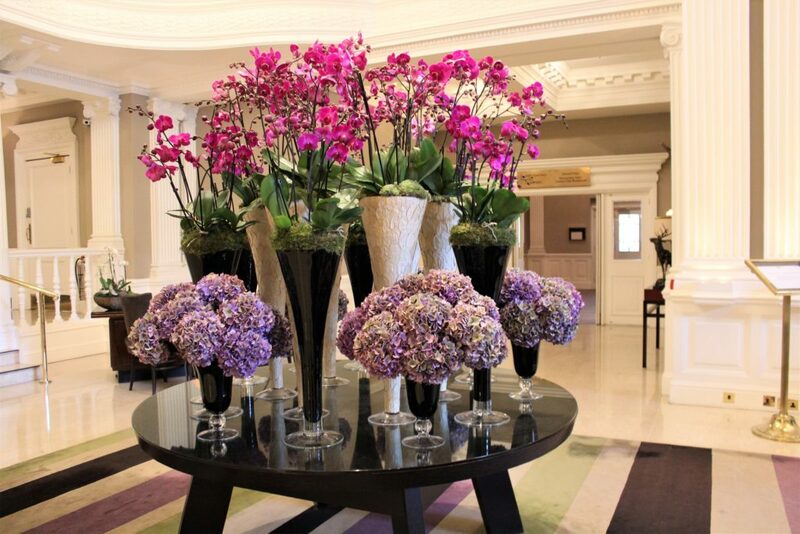 It’s part of the Rocco Forte Hotel Group where a floral welcome is course de rigueur. It’s also the hotel where J.K. Rowling finished writing Harry Potter and the Deathly Hallows. 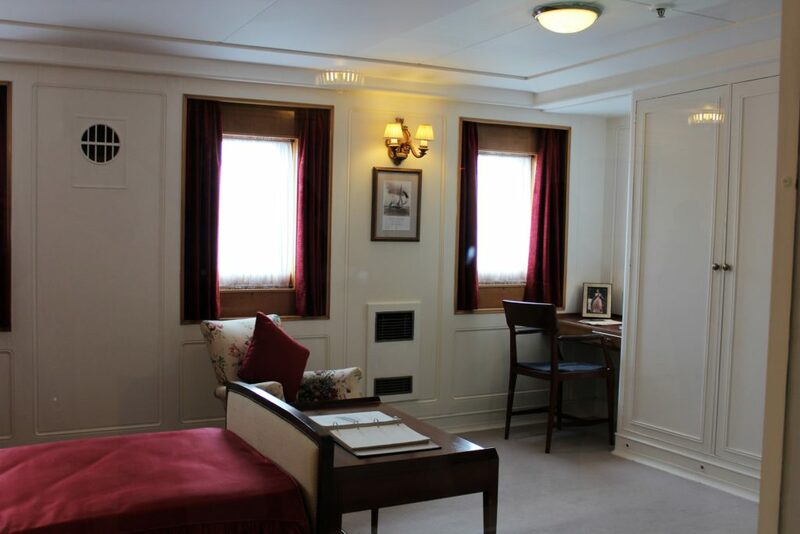 On our first visit to The Balmoral we stayed in the amazing suite which she spent so much time in and has since been renamed the J.K. Rowling suite! 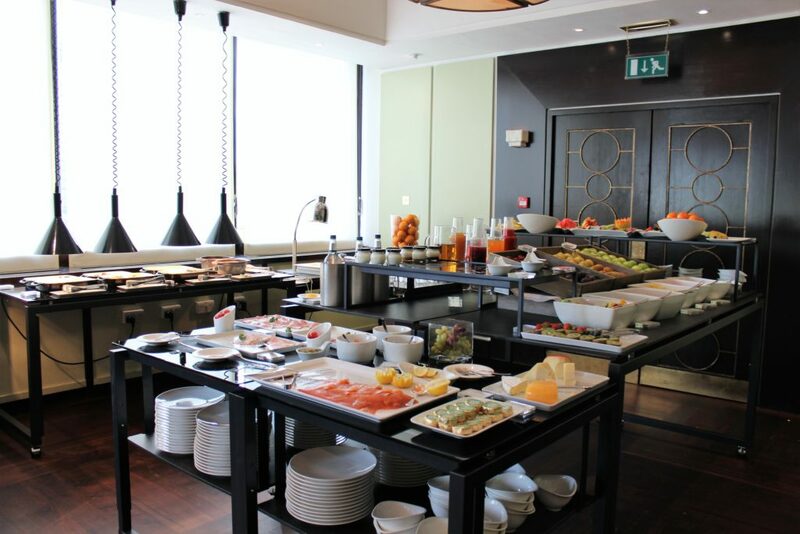 We woke up on our first morning in Edinburgh to a delicious breakfast buffet at the Balmoral’s restaurant Hadrian’s. After breakfast we headed out for some sightseeing. 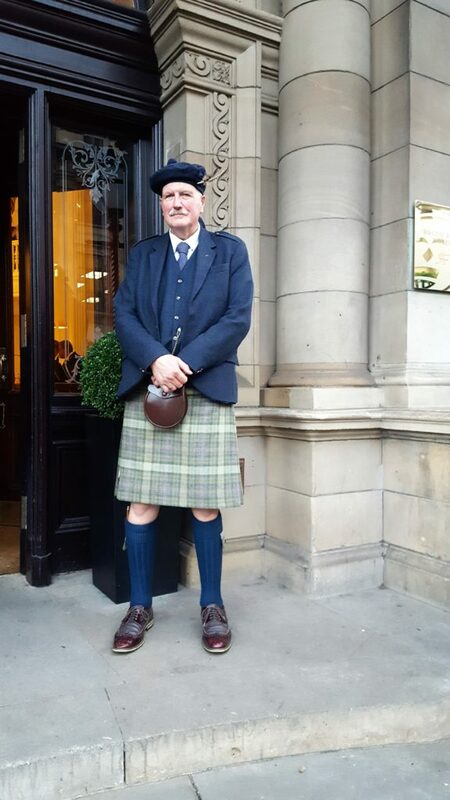 We were greeted by The Balmoral’s doorman in classic Scottish attire. Don’t you just love that gorgeous tartan? 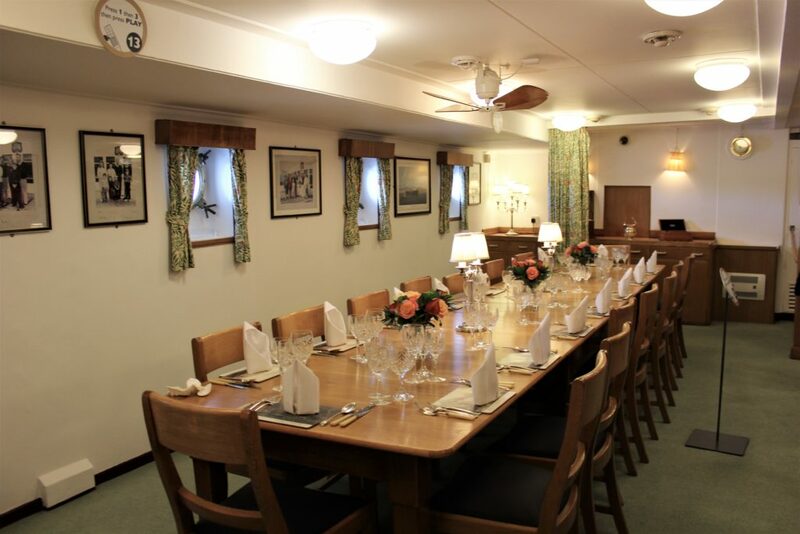 We made our way to The Royal Yacht Britannia for an afternoon tour. 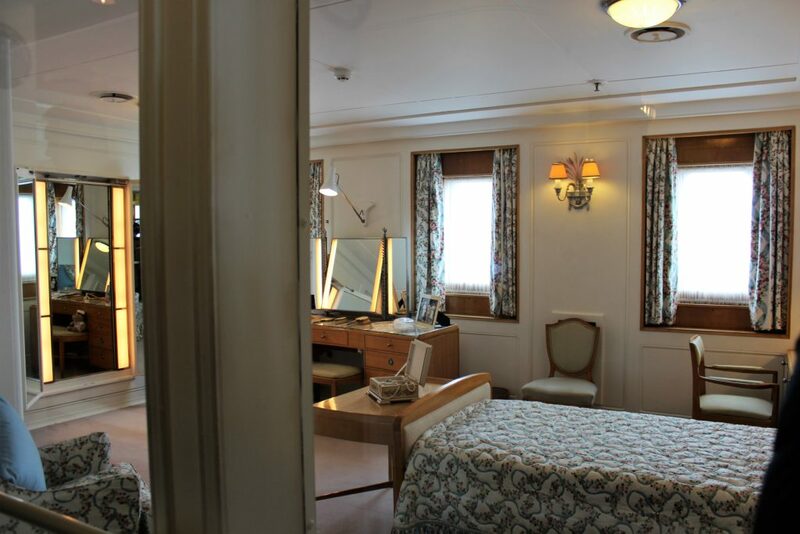 The ship served as Queen Elizabeth’s, floating royal residence for over 40 years. 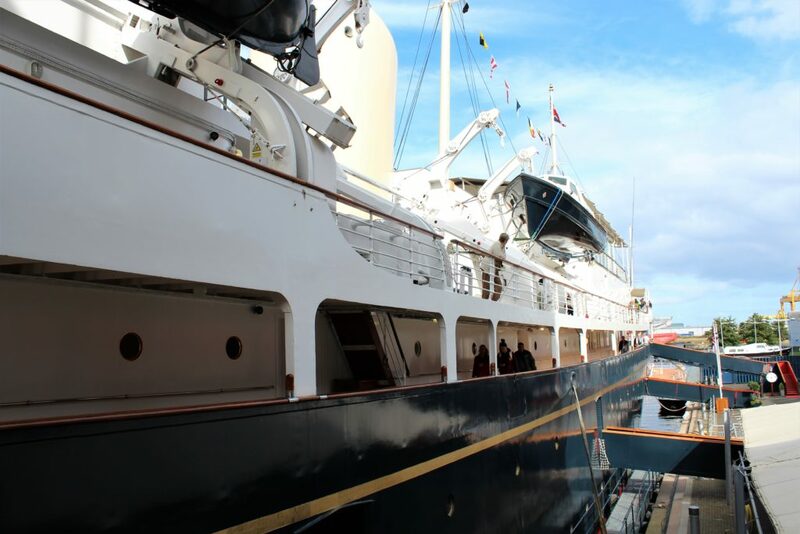 In service from 1954 until 1997 the yacht traveled over 1,000,0000 miles around the world, hosting guests including Dwight D. Eisenhower, Ronald Reagan, Nelson Mandela and Sir Winston Churchill. 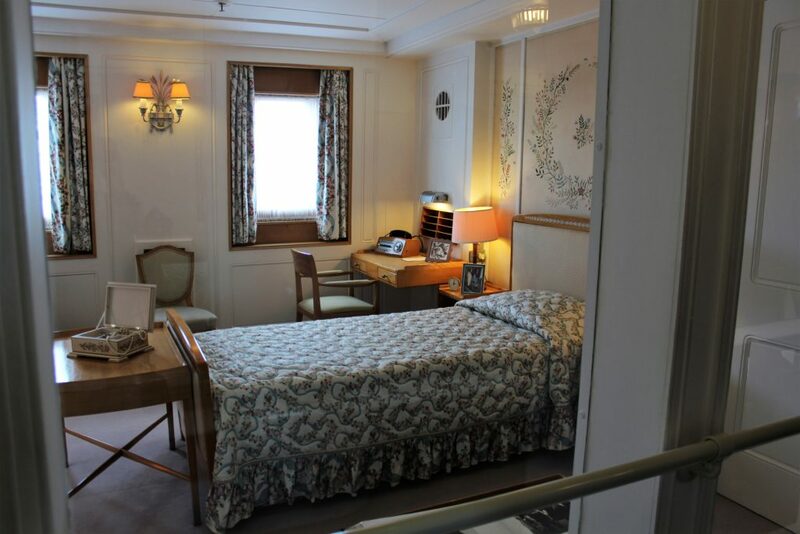 It was so exciting to get a peek of Her Majesty’s private rooms. Especially now that I am binge watching the Netflix series, The Crown starring Claire Foy. Of course life wasn’t all fun and games on the royal yacht. You can view the Queen’s rigorous daily schedule here. 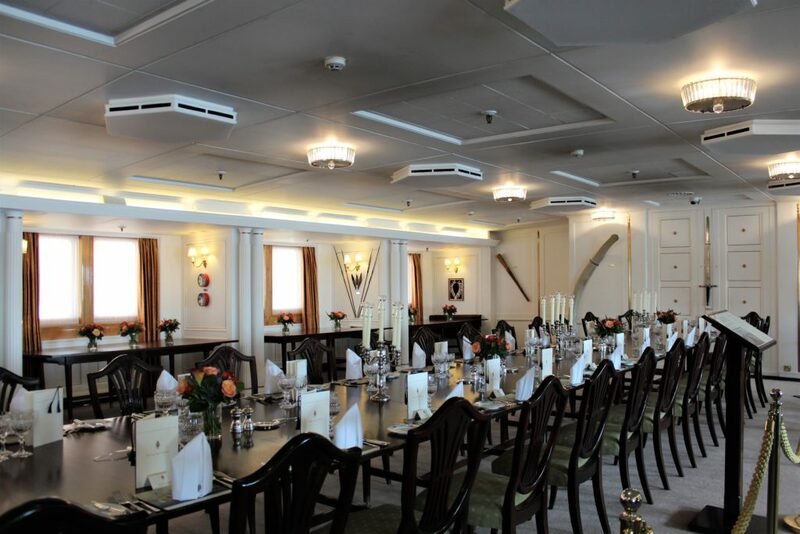 The crew’s formal dining room. Not to be compared to the Queen’s! 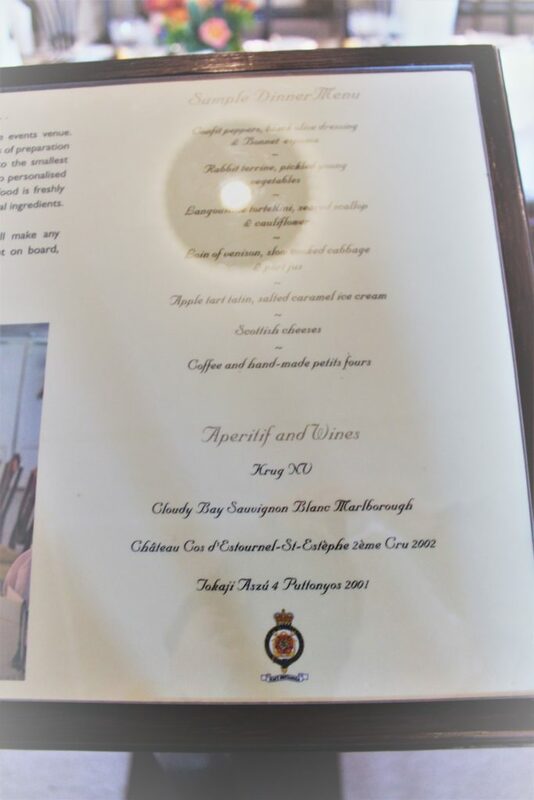 A sample menu includes Langoustine Tortellini with Sea Scallops and Cauliflower, Loin of Venison with Slow Cooked Cabbage, Apple Tartin with Salted Caramel Ice Cream and Scottish Cheeses. Nom nom. 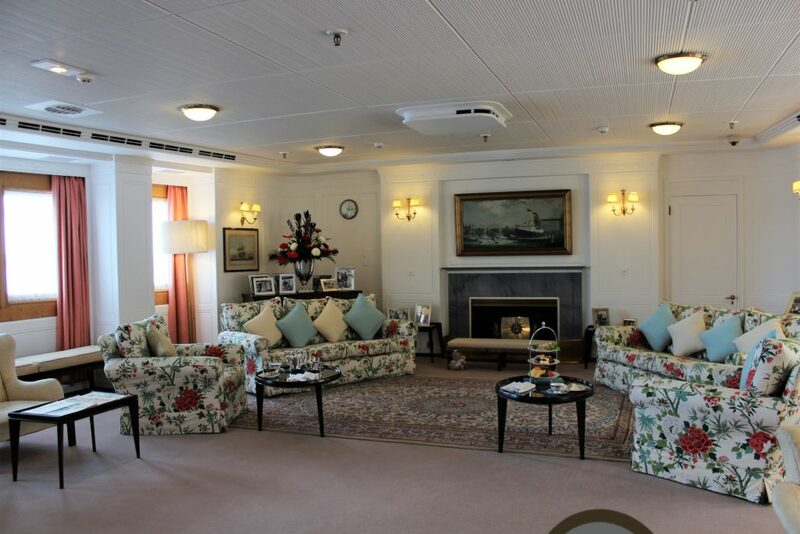 Her Majesty’s office and sitting room. Love that fireplace! 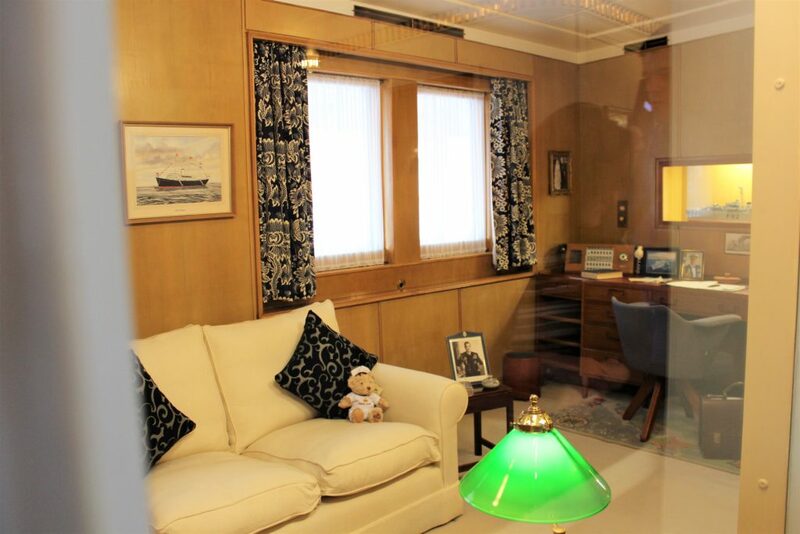 Prince Philip’s office looks so nice and cozy. 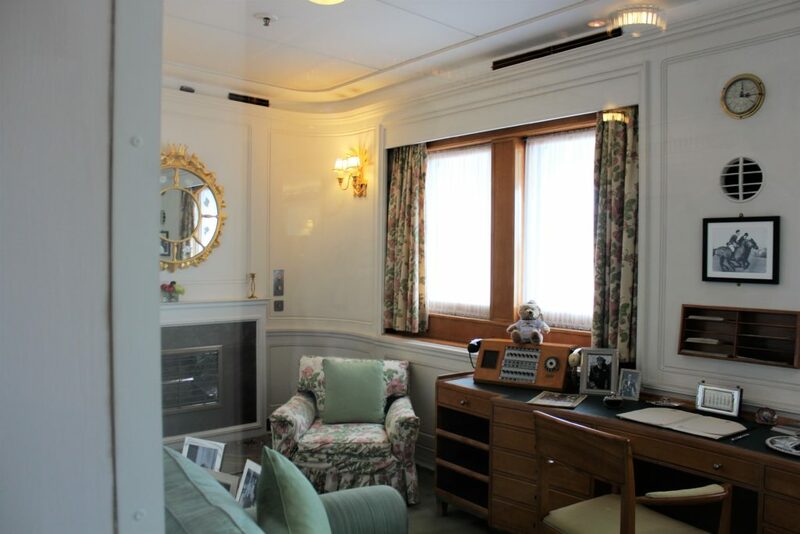 Framed photo’s of the family decorate the floating residence. 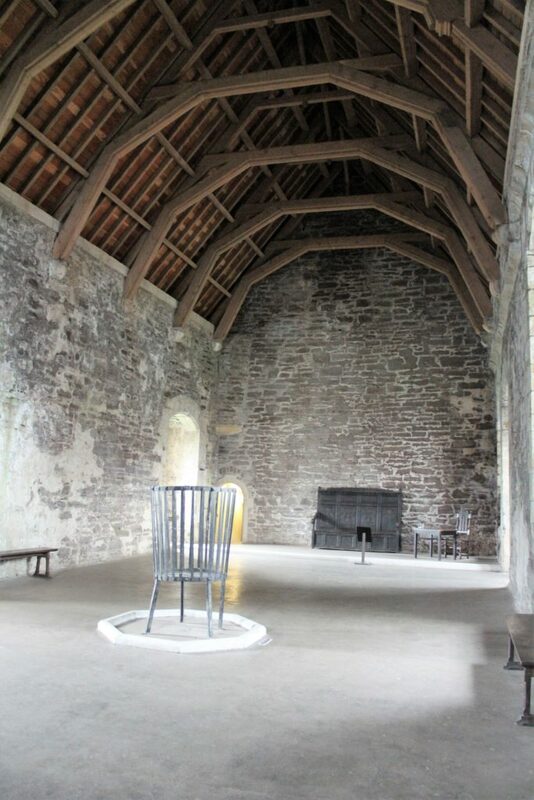 Wish I could have been a fly on the wall at some of the gatherings that took place in this living room. 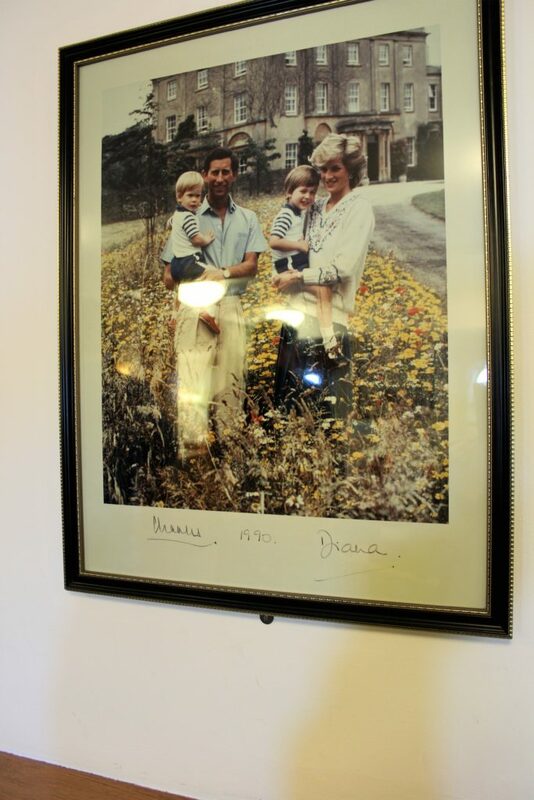 A baby grand piano sits in the corner that was once played by Sir Noel Coward, Princess Margaret and Princess Diana. 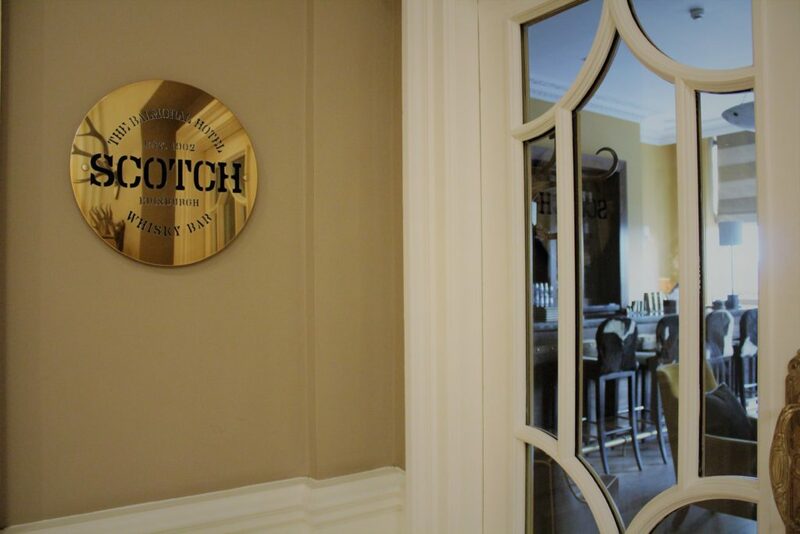 Later in the evening after dinner we stopped at The Balmoral’s whisky bar, appropriately titled Scotch! The next morning we woke up to enjoy an early breakfast before our full day tour. 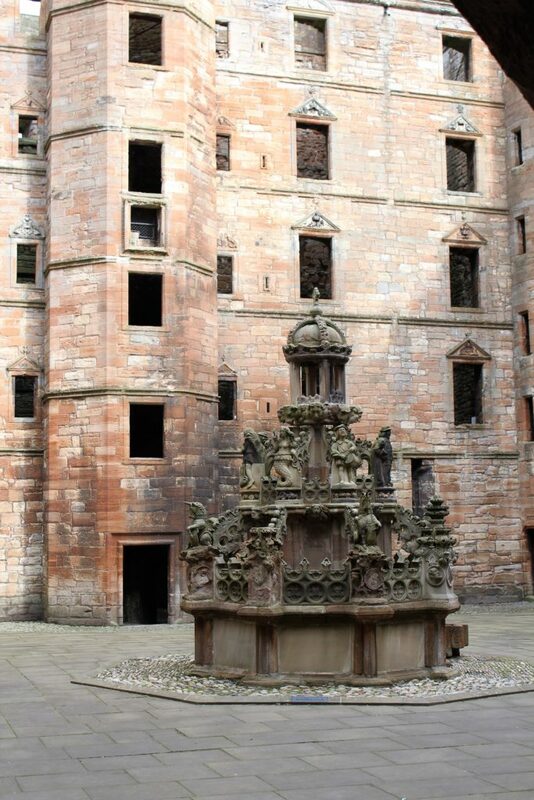 We always like to book a private tour or two on our European adventures. 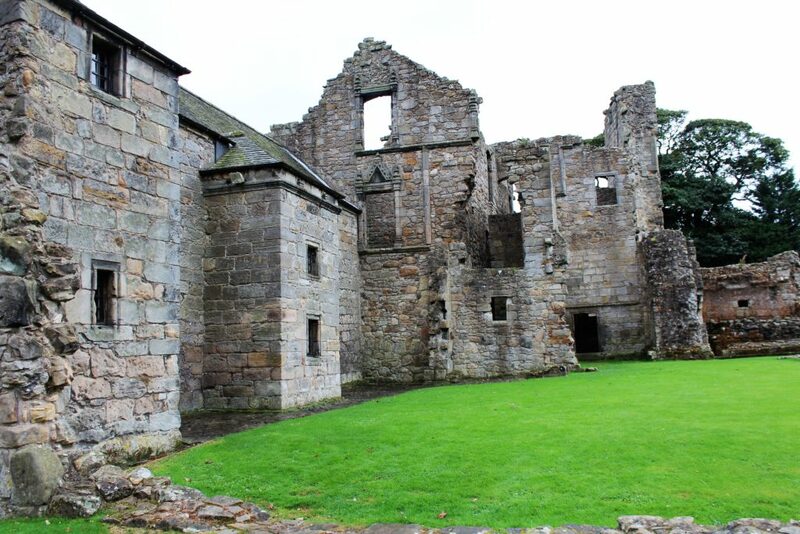 This time we decided to book the Outlander Tour with Dave at GoForth Tours. Mr. Pretty Little Shopper and I are such big fans of the show and it was quite fascinating to see some of the castles and other locations used for filming. We got to learn not only about their real life histories, but also how they are meticulously transformed by historians and designers for the show. 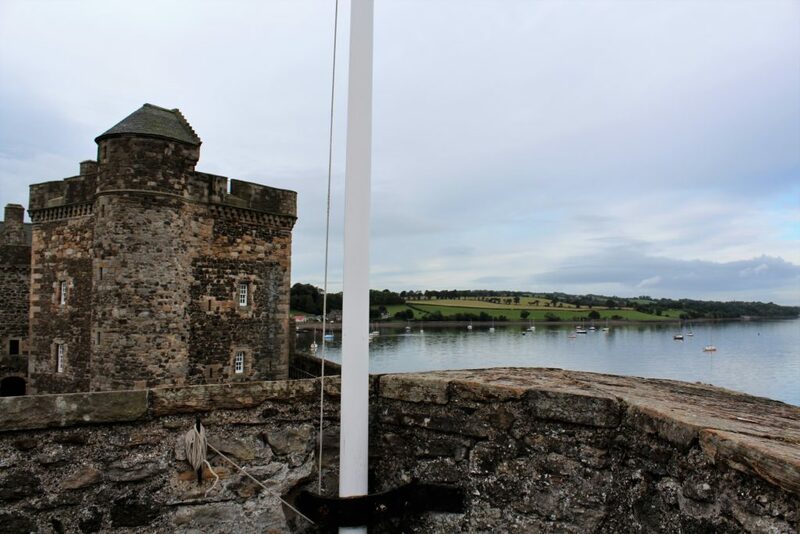 Our first stop was Fort William aka Blackness Castle on The Outlander. 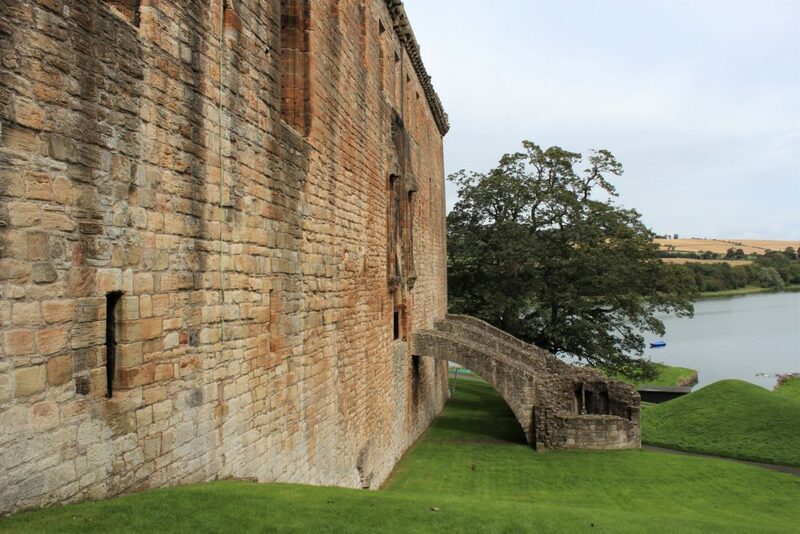 Built by the Crichton Family in the 15th Century, it has been used as a royal castle, prison, weapons store and shooting location for Hamlet. 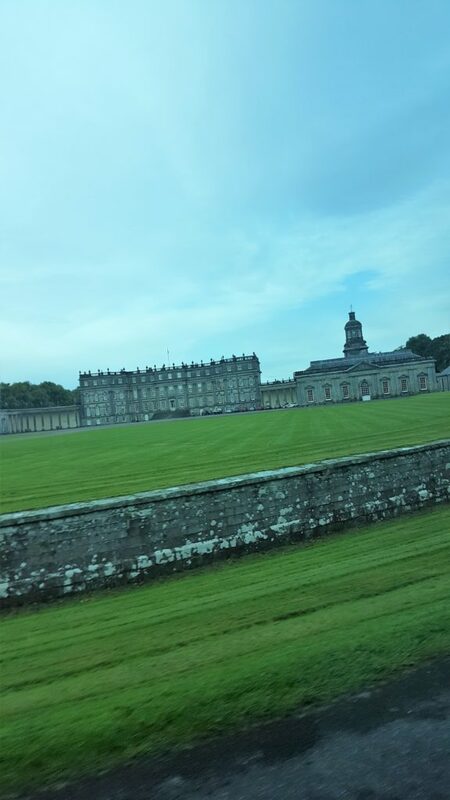 Hopetoun House was closed to visitors, but I managed to catch a quick photo as we drove by. This gorgeous stately home serves as the Duke of Sandringham’s residence. 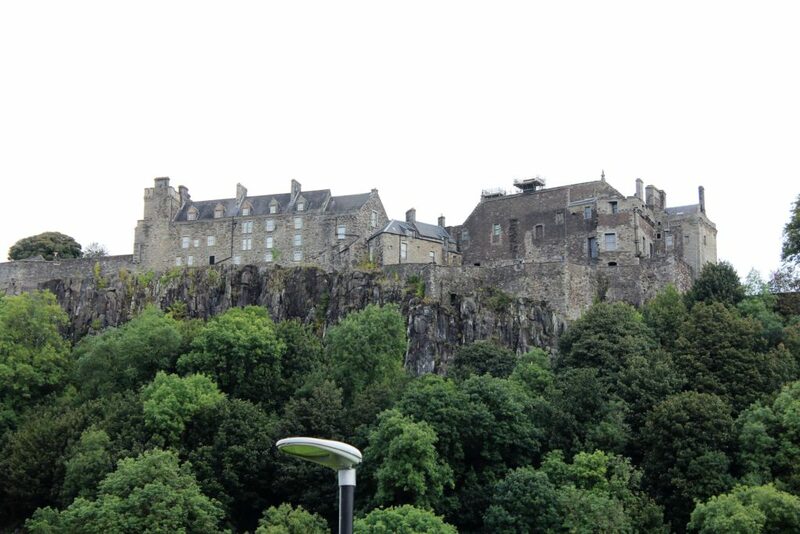 We caught a glimpse of Stirling Castle as we drove to our next location. 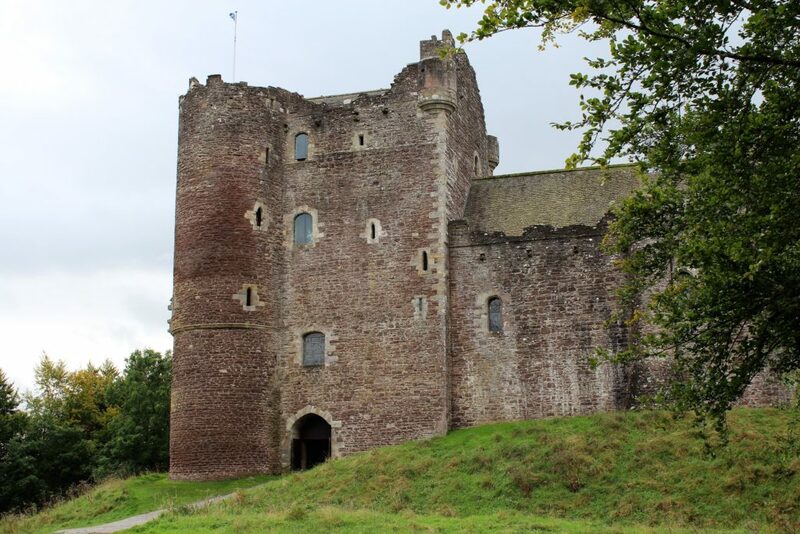 You will probably recognize Doune Castle, not only as Castle Leoch on Outlander, but also from Monty Python and the Holy Grail and as Winterfell in the pilot of Game of Thrones! 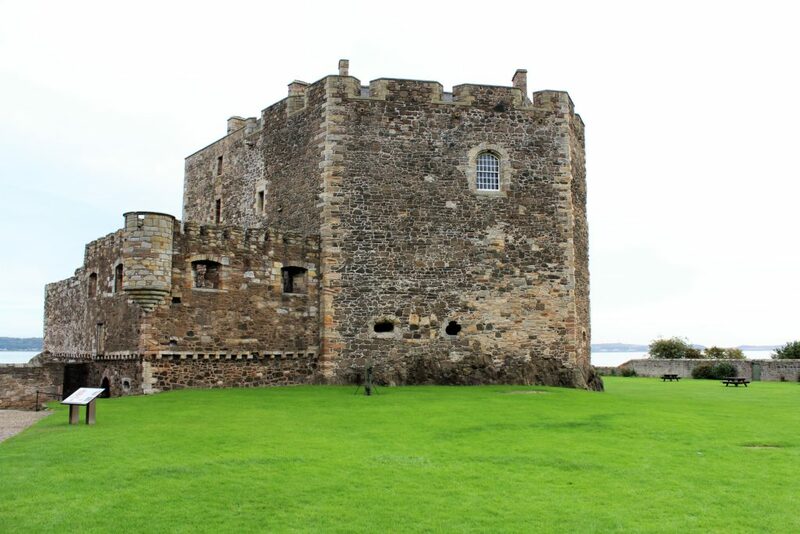 We stopped for a quick bite before heading out to Culross, which is an adorable town once famous for it’s salt mining and coal trade. 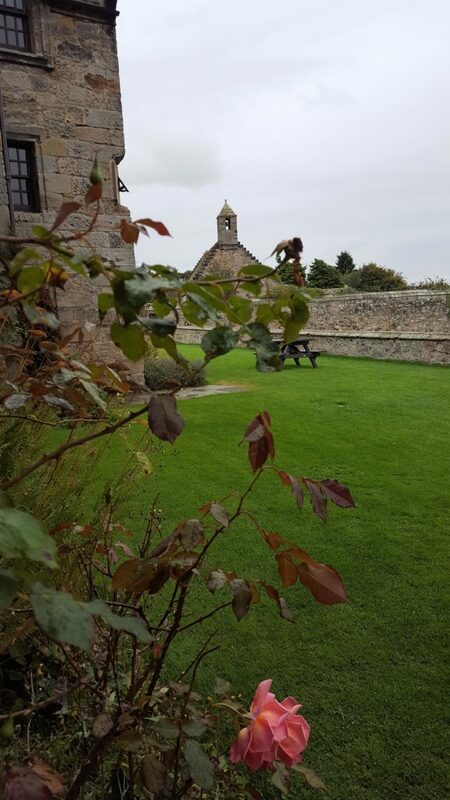 This was my second visit to Culross and although it may be small, it’s such a fascinating place that I’d recommend making a day of it. How cute is this house? 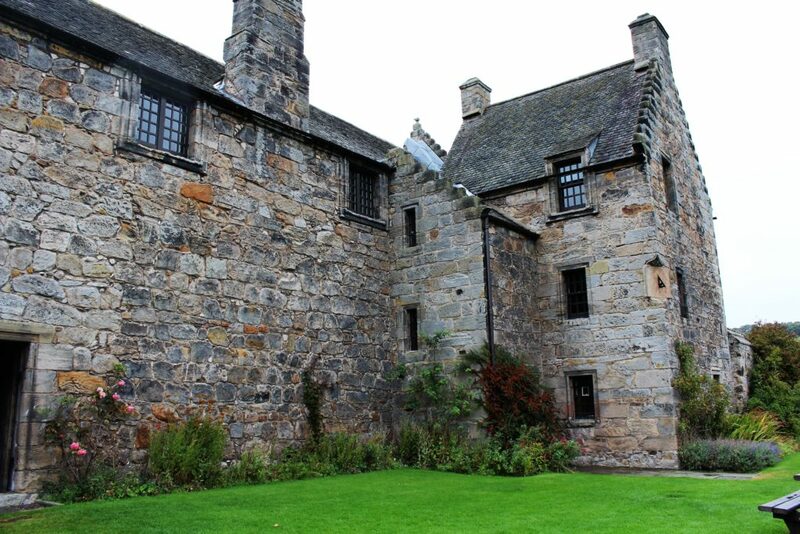 I want to move in. 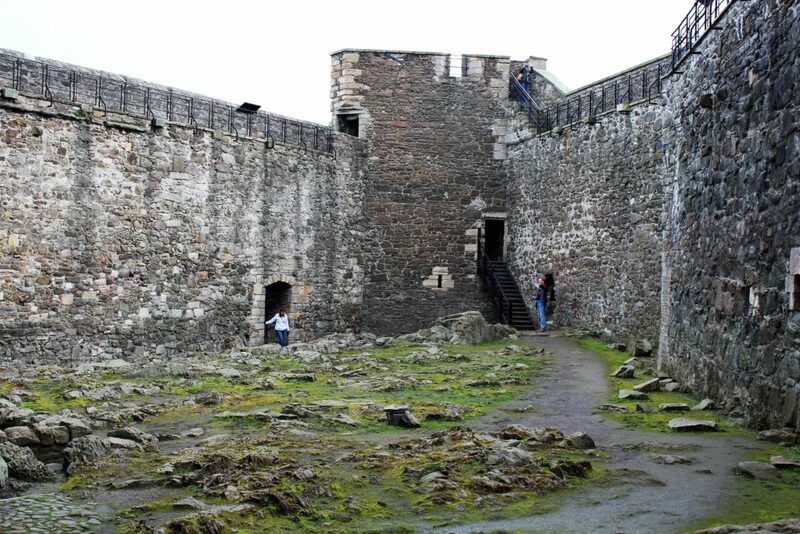 Do you recognize this location Outlander fans? 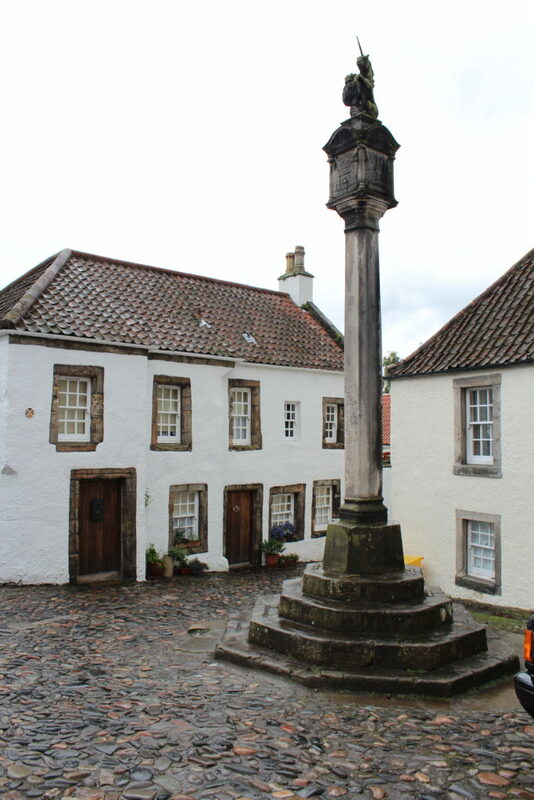 It’s the fictional town of Cranesmuir where the little boy got his ear nailed to a post for misbehaving. So glad that sort of punishment is no longer en vogue. 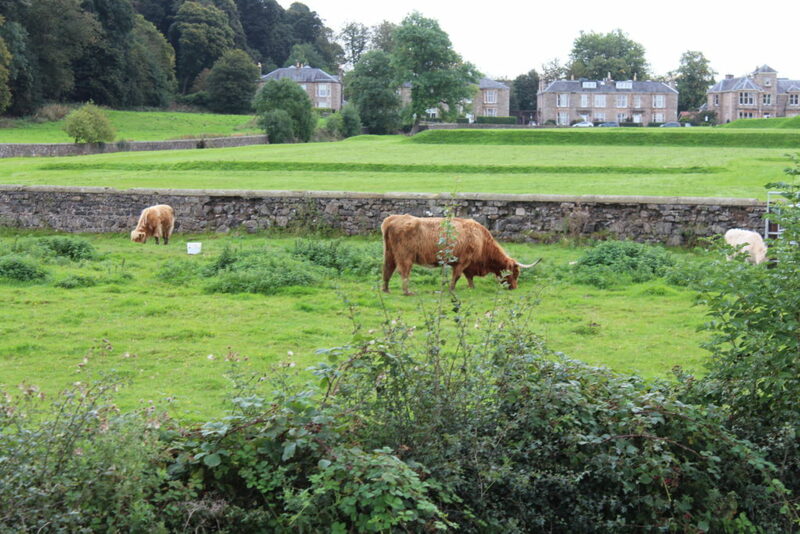 We pulled over to watch the cattle grazing and take in the view. And caught a glimpse of this mane attraction as we drove along to our next stop. 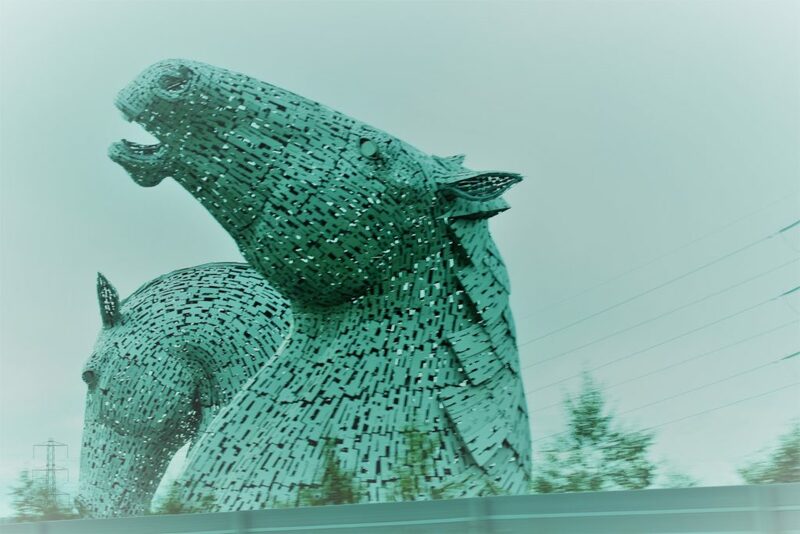 The Kelpies, designed by Scottish sculptor Andy Scott are the largest pair of Equine sculptures in the world. 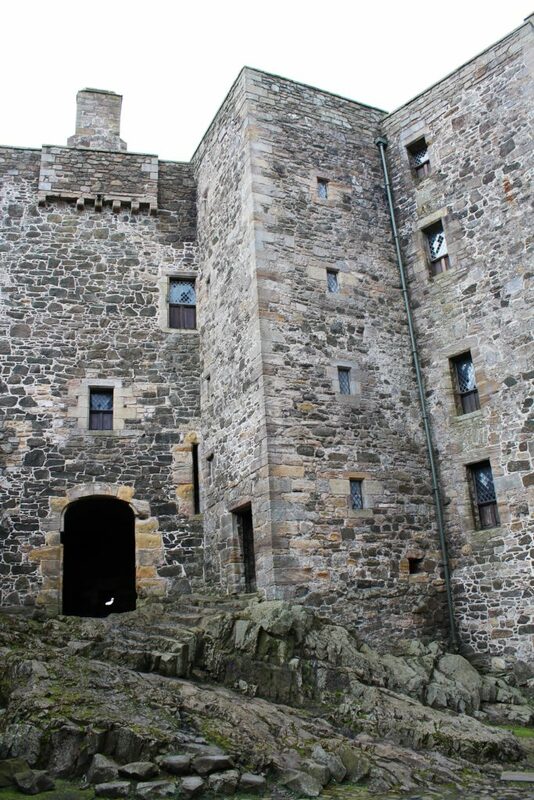 And just as I was getting a bit castle’d out, we arrived at our last stop, which also happened to be perhaps the most breathtaking. 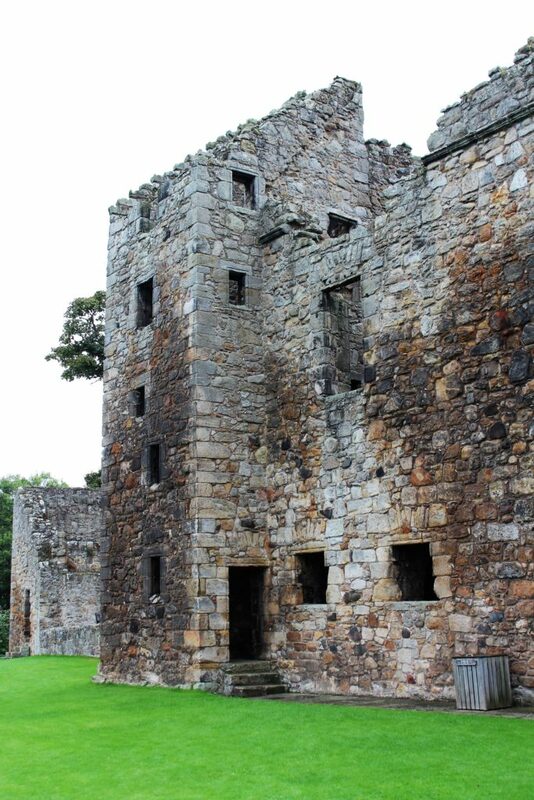 Aberdour Castle began it’s life as a two story tower house just before the 1200’s. 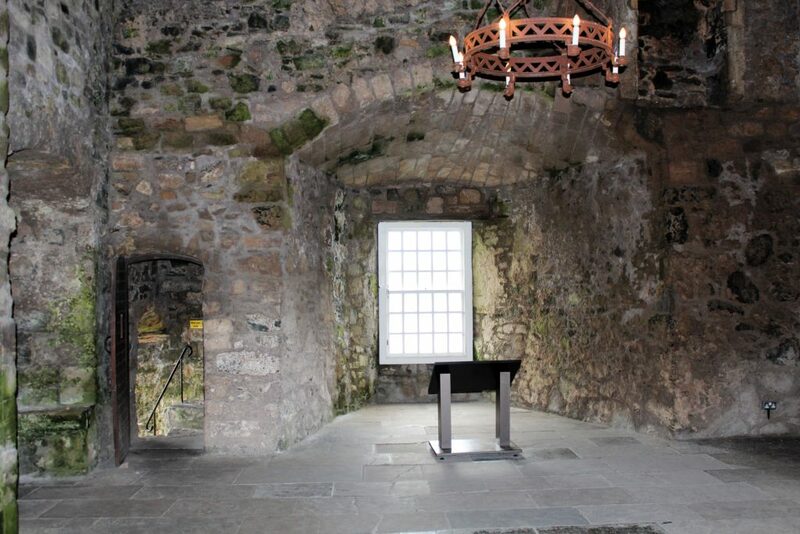 It had several expansions beginning in the 1500’s and it was seen on The Outlander as the Abby of Saint Anne de Beaupre in France where Jamie flees to. I just can’t get enough of these gorgeous green gardens! 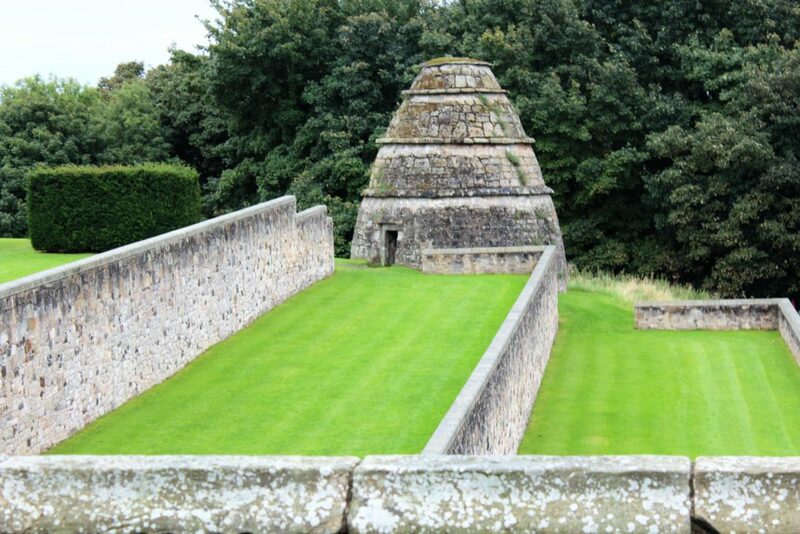 This incredible beehive shaped dome is actually a Dovecote. 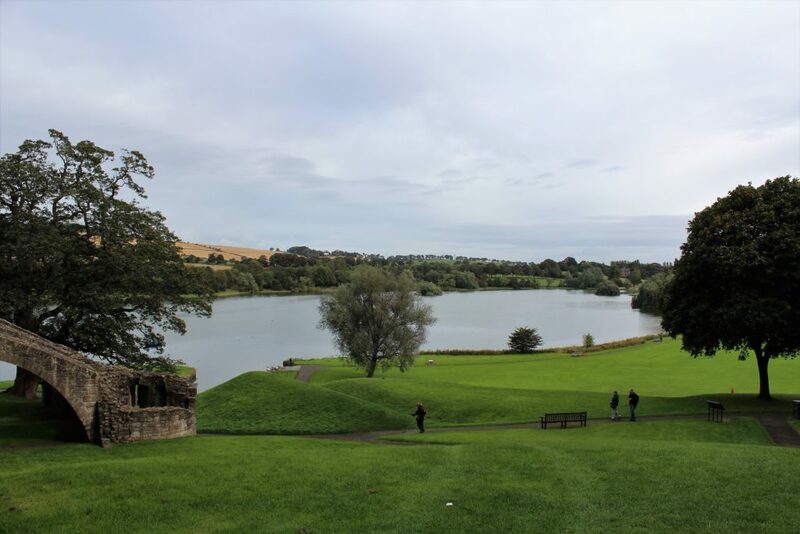 On our last day in Edinburgh we decided to take it easy after doing so much touring. 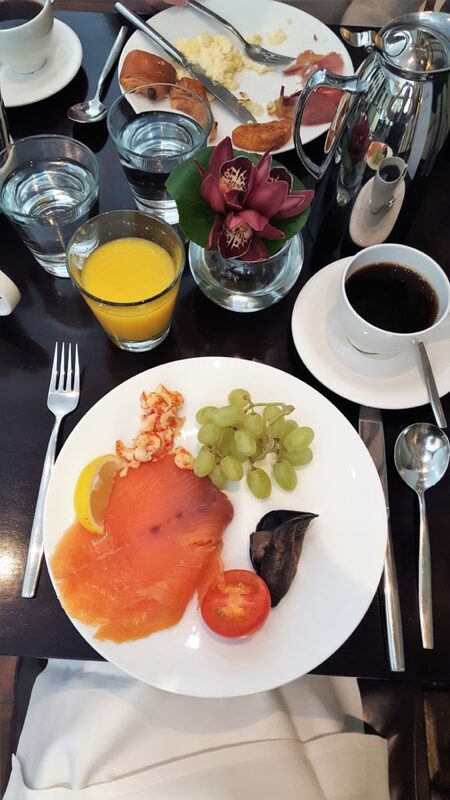 The Balmoral is walking distance to Harrod’s and Tommy Hilfiger… I’m always amazed at my hubby for finding the best hotels! 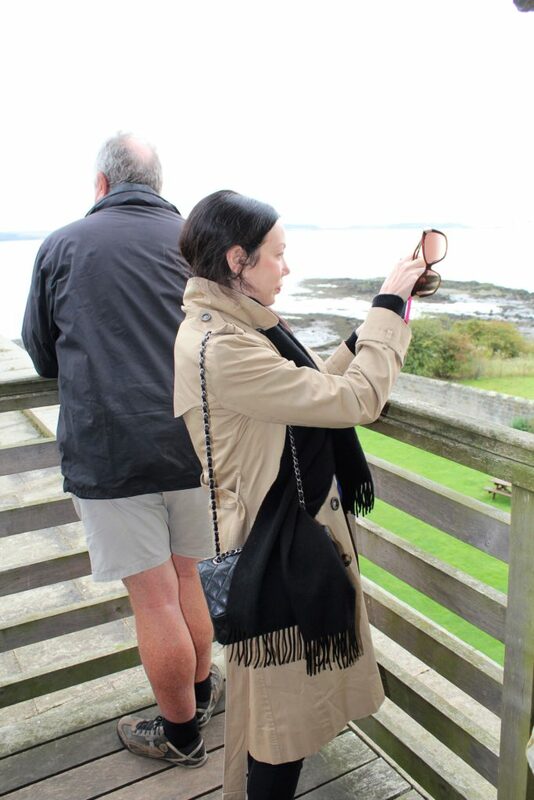 Our Scottish friends James and Susi took a train in to town to meet us for dinner. 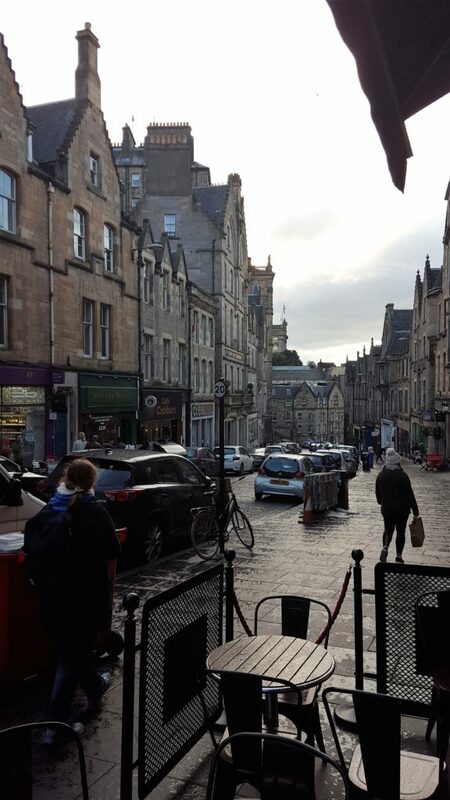 We walked through the train station to avoid the rain and cold and ended up on Cockburn street to find our restaurant. 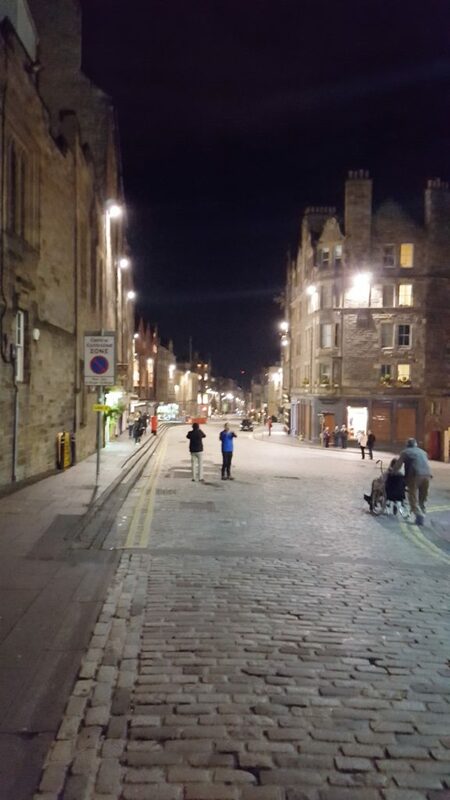 This street looks as if it jumped out of a Harry Potter film, don’t you think? After many days of traditional English and Scottish food and a healthy dose of Indian cuisine, we got a craving for Italian. 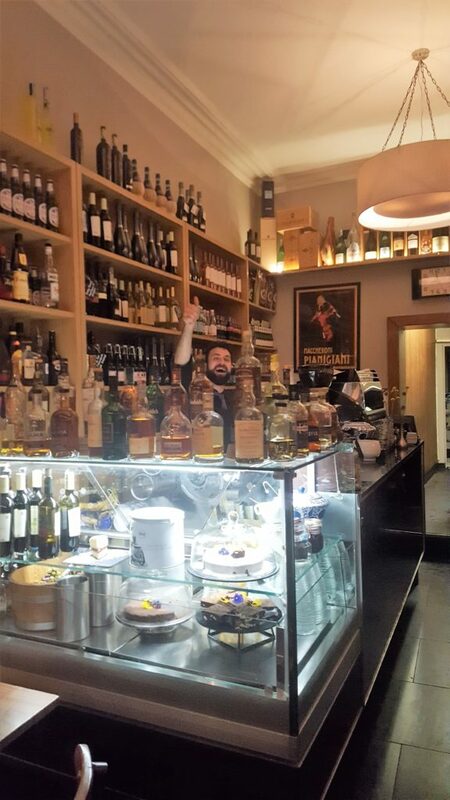 We booked a reservation at La Locanda Italian Bistro and were not disappointed. The restaurant may be tiny, but the food is delicious and the staff is welcoming! 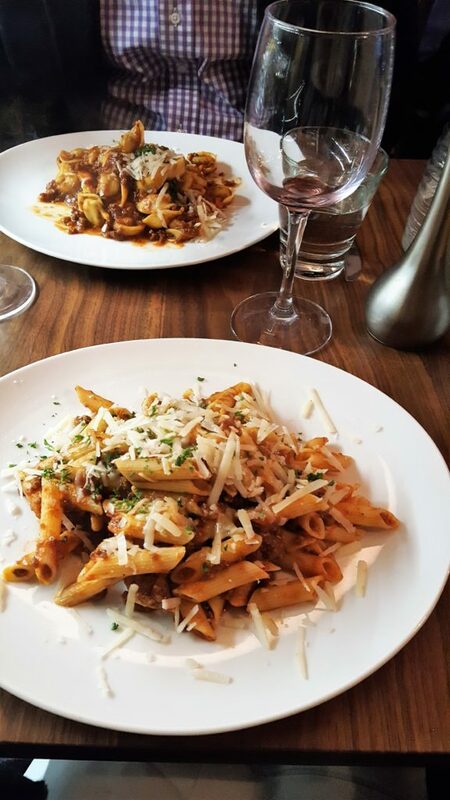 The menu offers quite a few gluten-free options and I couldn’t pass up this Penne Bolognese. 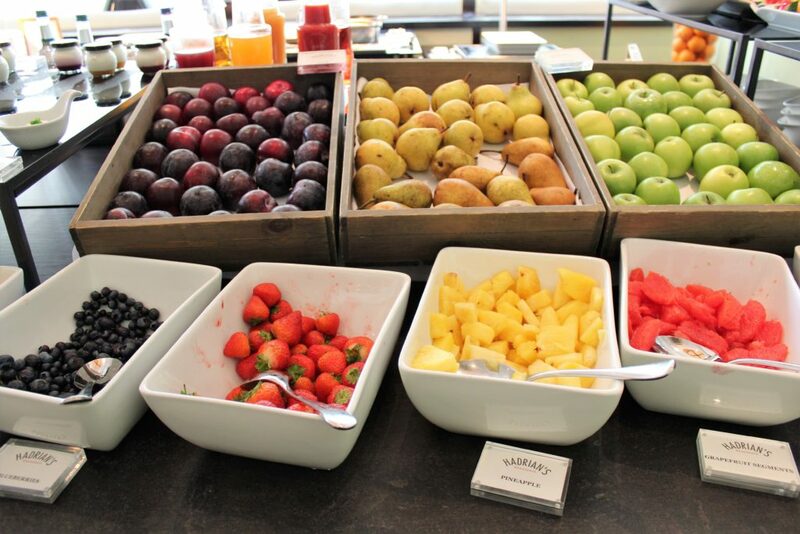 So yummy!!! We said goodbye to our friends and then walked off our dinner on Miracle Mile. Then it was back to our room to pack for our long day of travel back to the states the next morning. Until next time Edinburgh! 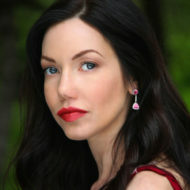 Photos taken by me and Mr. Pretty Little Shopper. It was a great trip Jessi! 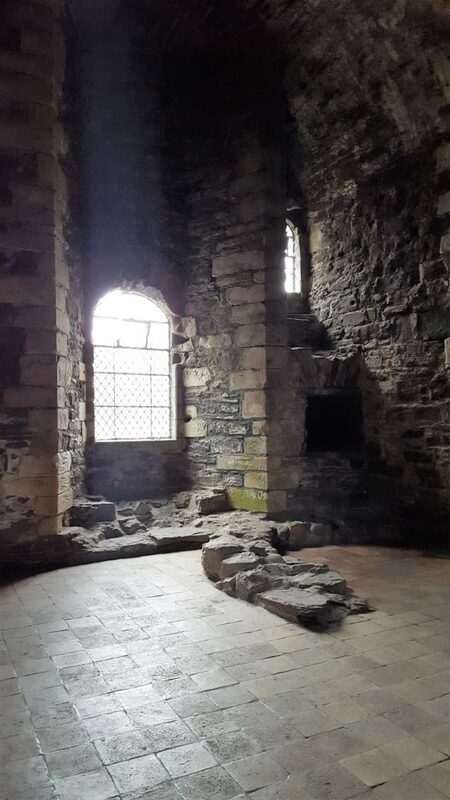 It’s such a great place to visit. 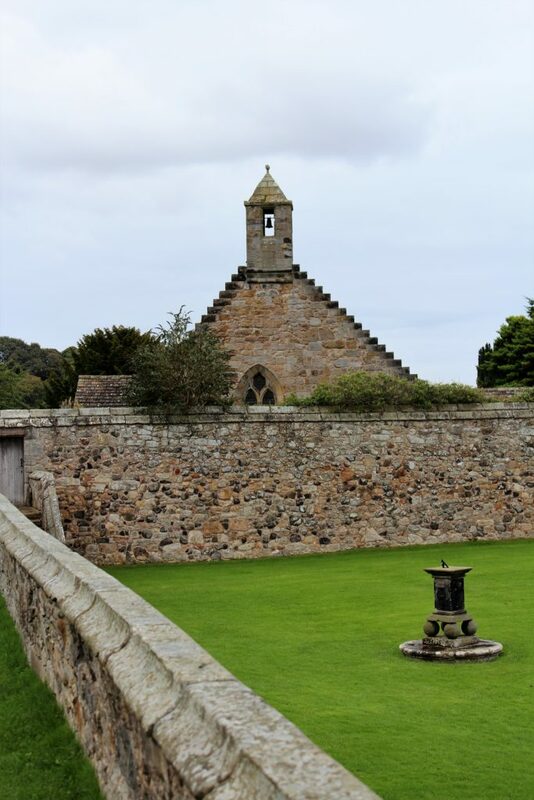 I wish we could have stayed longer as there is so much to do and see in Edinburgh!